Years and years ago, I began to dream about this very month in this very year. I wondered what I'd be like, what my boy would be like, and what we'd be like as a mother and son. In November of 2013, that far away place, I would become the mother of a teenager. I'm a much wiser me, more in love with my Savior and more confident in who He made me to be. As a mother and son, we're just how I'd imagined we'd be. We joke, we hug, and both have an equally intense love for chocolate chip cookies. 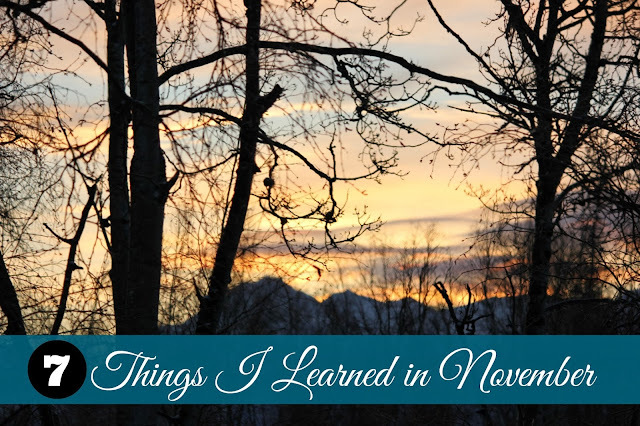 Now it's on to this month's Things I've Learned post. 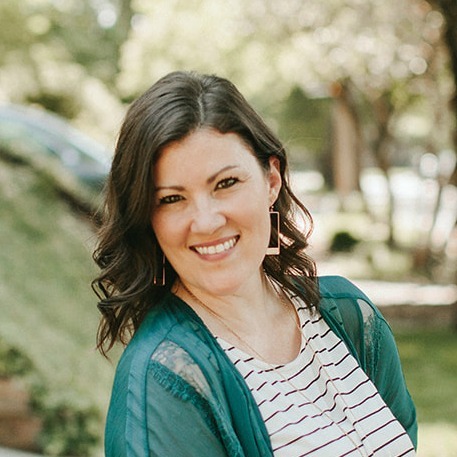 Each month (save October), I've made it a habit to link up at Chatting at the Sky, where Emily and the other bloggers share what we've been learning, be it silly or serious, it's there. 1. I love Instagram. I love the simplicity and beauty of seeing just a snapshot of the lives of the people I follow, which isn't very many since I just made an account a few weeks ago. I follow my real-life friends, some online friends, interesting people, and my favorite authors too. It's fun. You should try it. Then let me know so I can stalk follow you too. You can follow me HERE, if you are so inclined. 2. There's an Apple Cider herbal tea made by Bigelow that is super yummy, and it doesn't have any sugar unless you add it yourself. It's perfect for this time of year. 3. I didn't learn this for the first time in November, but I was reminded once again when I was reading An Old-Fashioned Thanksgiving by Louisa May Alcott to the family that I love me some good old-fashioned charm. Give me a story with quaint homes, horse-drawn sleighs, and long dresses and wool socks, and you've got a happy girl. That's probably why I love Anne of Green Gables, the Little House books, Little Women, and Caddie Woodlawn too. Swoon. 4. I went out early on Black Friday to meet some girlfriends as I do every year. We start at Target, grab a coffee, casually stroll around, and will maybe hit two more stores after that. We grab some items, but we're super relaxed about it and just enjoy being together while our families are home sleeping. This year's outing started with a bit of hilarity. The temperature was well below zero on Thanksgiving night, so Jeremy (being the thoughtful man that he is) started up the vehicle I was going to be driving the next morning to make sure it would start up for me in the frigid temps. We don't have a garage, so sometimes cars just don't start when it's crazy cold. He planned to leave the car running a bit to warm up the engine, but then he forgot all about it. 8 hours later, at 4:00 a.m., my husband scared the living daylights out of me by jumping out of bed after realizing he'd left the car running. I left the house at 5:30, and to my delight, it was still warm inside the van. I learned it's good to keep your gas tank nearly always full, just in case you accidently leave it running all night. You never know, it could happen. But maybe only to crazy people like us. 5. Watching snow fall is absolutely one of my favorite things. I am so taken each time. You'd think it would get old since I've lived in the Arctic since I was eight years old, but it just doesn't. 6. For the past several months, I'd been lamenting about how I didn't have time to write every day like I'd almost nearly need to if I was contracted to finish the book I'm working on. Then in walked the 31 Days series I wrote in the month of October. The work I put in during those four weeks showed me otherwise. I can write each day. I just need to change how I spend my free hours. 7. I buy cheap makeup. I do. And I buy a different kind each time because I like change and often wonder if there's something better still undiscovered. I'm faithful to my mascara and eyeliner, but that's it. Amazingly, I found one more I'll be adding to my faithful list from now on. It's Cover Girl's Clean Whipped Creme foundation. It glides on amazingly, and is just perfect. It reminds me of the kind I used to buy from The Body Shop years ago. But after they stopped carrying it, I've been lost. Nothing has even come close until this little gem from CG. I wear the lightest color imaginable and can't remember the name, but it very well could be called casperthefriendlyghost or something like that. What did you learn in November? I'd love to know. 8 comments on "7 Things I Learned in November"
I literally love and agree with everything on your list! :) And this time of year especially makes me crave the old-fashioned, I'm sure you feel the same way! You too, Jacque! I love that you work in L&D... so amazing. When I'd visited your site in the past, I thought it was funny how much we had in common. :) Ooh, and that's so fun you use MFW. I am LOVING it so much. It's getting us back to the place we'd like to be. Lord bless your week. Sorry to esse drop on your conversation but could you tell me about why you love MFW? I need curriculum that works. Life has gotten busier by adding a sweet baby in March and i just can't plan like in the past. I'd love to share why I love MFW, Barb! 1. Grades 2-8 are all combined for Science, Bible, History/Geography, etc... I LOVE that. I currently have 3 kids in that category. 2. I love the missionary focus. 3. I love that it's all planned for me. I've tried pulling things together myself in the past after a few years of Sonlight and Winter Promise curriculums, but now I'm back to needing it all laid out. LOVE. MFW is very organized. 4. They choose great books. :) Do have any other questions?